Europe is no stranger to ties. The fourth week of the European League Championship Series is finished, and there’s still a large tie for fifth place. None of the four teams have found the consistency needed to separate themselves from the pack and are participants in an all-out brawl for a top spot. Early analysis of how teams would perform in the league proved to be difficult. This was because every team made roster changes, with some changing all or most of their players. A few teams have been unable to find the winning formula and work well with their teammates. FC Schalke 04, Misfits, Splyce, and Team ROCCAT all have a 4-4 record in their tie for fifth place. Here is how each team got to where they are and what strengths and weaknesses will help, or hurt them, along the way. From the Schalke team that won promotion, only Elias “Upset” Lipp was retained for this split. 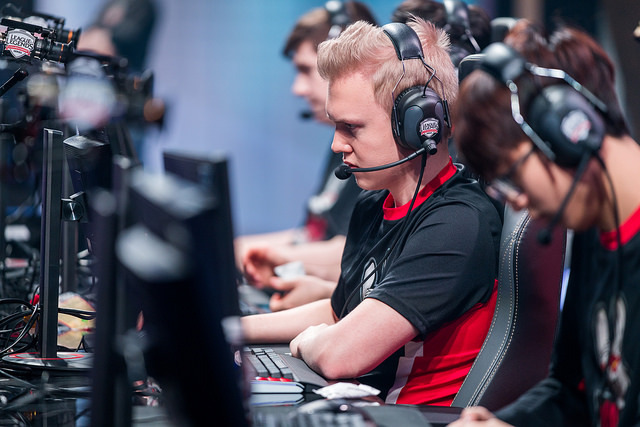 The team added Tamás “Vizicsacsi” Kiss from Unicorns of Love, Milo “Pride” Wehnes from ROCCAT, and Erlend “Nukeduck” Våtevik Holm and Oskar “Vander” Bogdan from Vitality. They also brought in former EU LCS analyst Mitch “Boris” Voorspoels to be the head coach. Schalke have had one of the toughest schedules so far. Their opponents have a combined record of 26-26, which is among the strongest in the league. Despite this, they have still been able to pull out wins against top teams while only losing to the top rosters in the league. 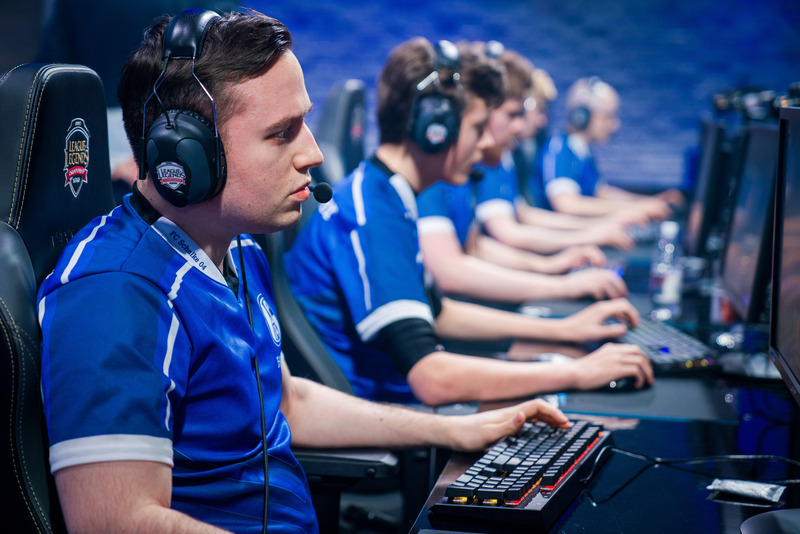 Most of the team’s success comes from the performances of their mid laner and jungler. 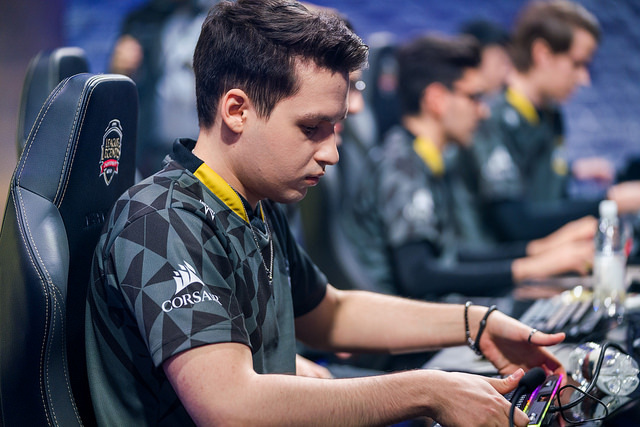 Pride and Nukeduck lead their position groups in KDA, and are both in the top five league-wide. Nukeduck has also played five different champions in six games, showcasing his large champion pool. 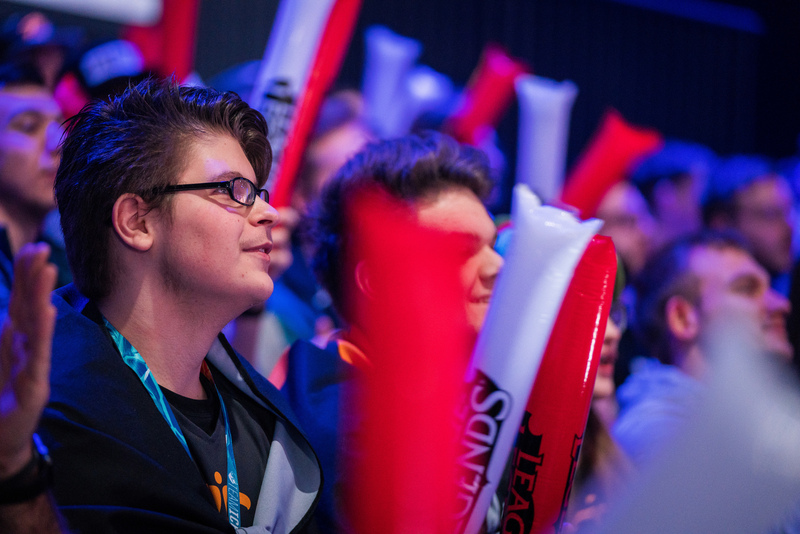 Schalke have a clear identity, using Pride to get advantages for Nukeduck. But their map play needs some work. This team has the pieces to perform well but will need some more consistency and better control of objectives in order to reach the top of the table. Misfits were a highly anticipated team coming into the Spring Split. After at strong performance at the World Championships where they took the Korean giants SK Telecom T1 to five games in the quarterfinals, much was expected of the Misfits squad. Some expectations as the roster did change two players, bringing in teammates Chres “Sencux” Laursen and Mihael “Mikyx” Mehle in mid lane and support respectively. The squad has not lived up to the hype so far as they sit a .500 record without looking thoroughly convincing in most of their games. The trademark of this team right now is to fall behind early, have good macro plays to capitalize on enemy mistakes, and then come back to win. Though this style has worked in four games, it is not consistent, thus resulting in the four losses. You cannot go behind as a team so many times early and rely on the other teams’ mistakes to give you a way back to win the game. Steven “Hans Sama” Liv has been the saving grace for Misfits in many cases. 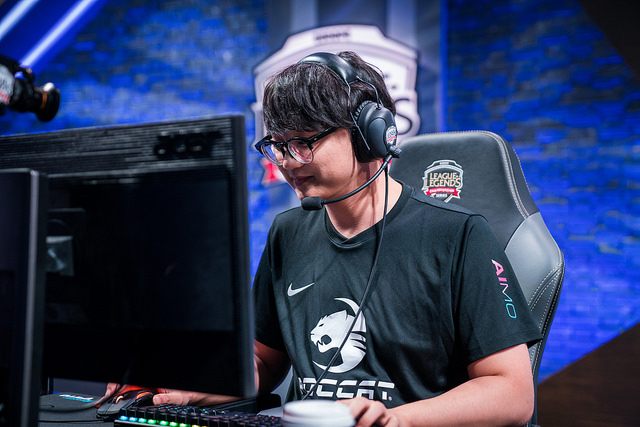 Specifically on Kog’maw, Hans Sama has been able to carry the late game team fights that result in completing their comeback to win the match. Sencux especially has struggled to adapt to the new line-up and has looked poor in his first eight games with the team. Misfits still has the talented roster and great coaching staff to make it at the top, but without proper cohesion from the players they will not reach the pinnacle. Misfits will have to fix some of their early game problems so they do not have to rely on the late game come back in order to win games. Splyce is another team with many changes to their roster, keeping only Kasper “Kobbe” Kobberup as their starting ADC. The team around him was filled with European talent—but only Andrei “Odoamne” Pascu and Raymond “kaSing” Tsang have played together before, and the roster has not had great synergy so far this split. Splyce have yet to win two games in a row and have shown arguably more inconsistency than the other teams. Splyce have the longest average game time, but instead of being strong early, like Fnatic and G2, Splyce find their footing in the late game. They have struggled massively in the early game and constantly finds themselves behind in gold and kills. The team are able to win games because they mount a comeback in the late game. Their bot lane is the main driving force behind these comebacks—Kobbe has the highest kill share among ADC’s and is third in CS-per-minute. He takes over the game, and pushes them to victory. Kobbe is the lone shining light on this team and the solo laners will have to step up their game in order for them to climb up the standings. Splyce face two tough opponents next week in Giants and Fnatic. ROCCAT features an all new line-up, taking members from Ninjas in Pyjamas and Schalke to fill roster spots. The team got off to a strong start, winning three of their first four games. But now have shown some inconsistency and have been unable to put together a winstreak. In most of their matches, ROCCAT take a while to ramp up with a weak early game. The team focuses on team fights, so all of their players have a high kill participation rate. The lanes are not focused on winning their individual assignment, but instead rely on their teammates to help them out. Though ROCCAT have a high kill participation rate, no one single member of the team is outperforming the others in any significant way. This may seem like a good thing—but ROCCAT haven’t been able to find their star player to carry them. ROCCAT pulled off a nice result against Misfits last week but again showed inconsistency as they lost to Vitality. This week ROCCAT will have the chance to put together solid wins against a struggling H2K and fellow fifth place team Schalke. It’s hard to tell where teams will end up by the end of the split, but each of these teams tied for fifth will need to fix their problems in order to come out on top. The EU LCS standings are close right now and it may remain that way for the rest of the split if teams are unable to find the consistency to move up in the standings.